Bonds to port on chip for capillary-chip interface. Compatible with ~1mm port size. Material: Ultem®. 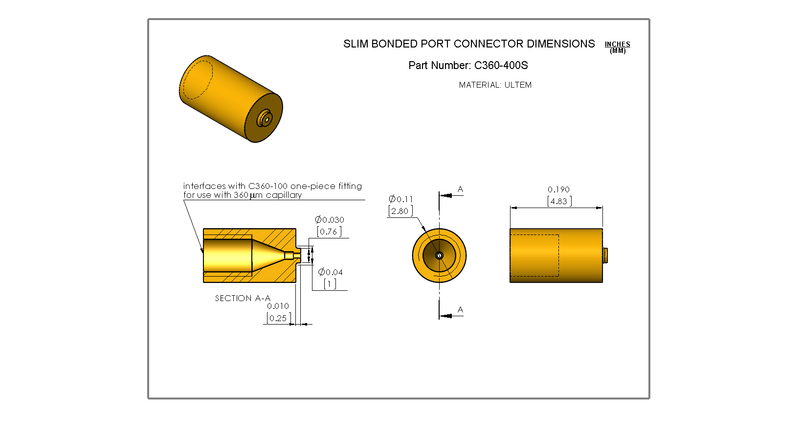 C360-400 interfaces to 360 um OD capillary via C360-100 one-piece fitting (not included) or to chip reservoir. View component drawing. C360-400S. Slim (28 mm diameter) version of C360-400 for use in tight spaces. Interfaces to 360 um OD capillary via C360-100 one-piece fitting (not included) or to chip reservoir. View C360-400S drawing. 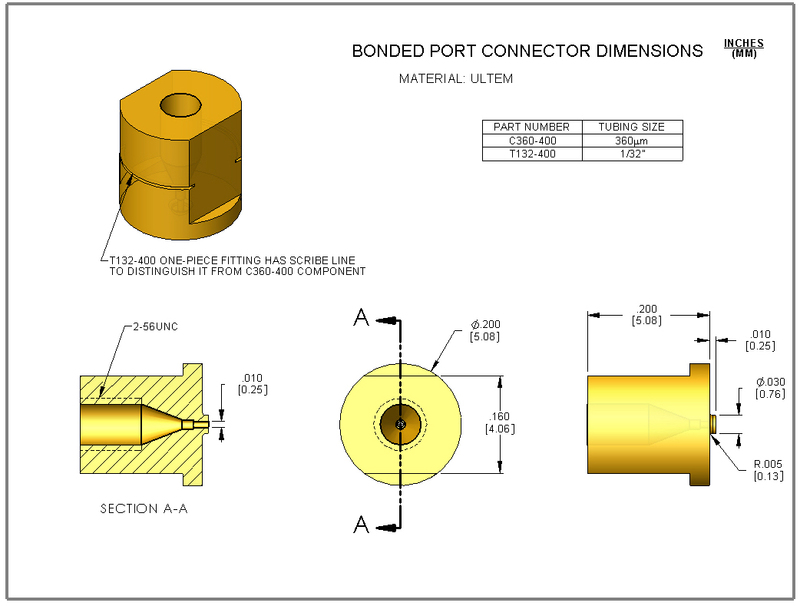 T132-400 interfaces to 1/32" OD tubing via T132-100 one-piece fitting (not included) or to chip reservoir.View component drawing. T116-400 interfaces to 1/16" OD tubing via T116-100 one-piece fitting (not included).